The film plays with the established rules in ways that are clever, consistent, and yield brilliant results...always a tricky mix for any movie that deals with the paradoxes of time travel, and the director and a game cast of bright young things pull it off in spades. 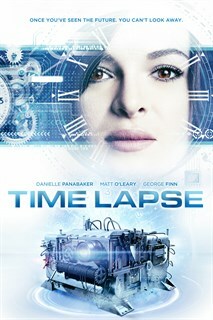 “Time Lapse” works due to both their escalating pileup of well-thought-out complications and credible character psychologies nicely communicated by expert performances. Three friends discover a mysterious machine that takes pictures 24hrs into the future. When they start to use it for personal gain, the machine takes over their lives and controls their future, with devastating results.